Caption - Indonesian Railways (PJKA) oil burning 2-8-2 D52056 waits to leave Purwokerto with a heavy eastbound passenger train in August 1982. On this occasion, steam was probably covering for a failed diesel. 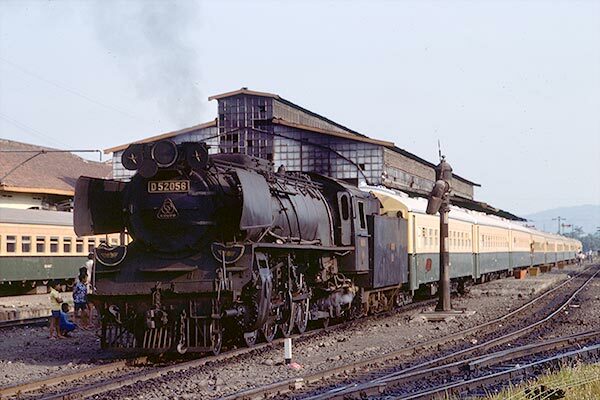 A hundred D52s were built by Krupp in 1951 and became the largest class of steam locos in Indonesia working alongside some locos nearing a hundred years old!